Though there are a variety of different squirrel species, the common tree squirrel is one of the most common nuisances faced by homeowners because of their ability to infiltrate homes and wreak havoc. 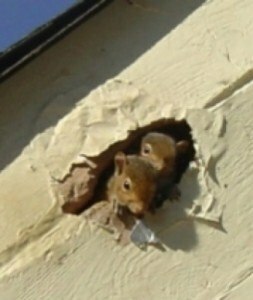 Often times, squirrels are discovered because of the noise they make, but only after significant damage has been done. Squirrel populations are on the rise because they have few predators and are so quick at reproducing. Additionally, as construction continues to intrude into their natural habitats, they have begun to seek shelter within our homes. While we strongly recommend against trapping squirrels on your own because of the risk they pose, there are things you can do to help deter them from invading. Remove food sources from outside of your home. Things like bird feeders are prime targets for squirrel activity. Use gutter guards or cover down spouts to reduce access to your roof and fascia boards – two common entry points for squirrels. If you have firewood stacked up against your home, consider moving it elsewhere as it gives squirrels a place to hide and to make their way onto your home. 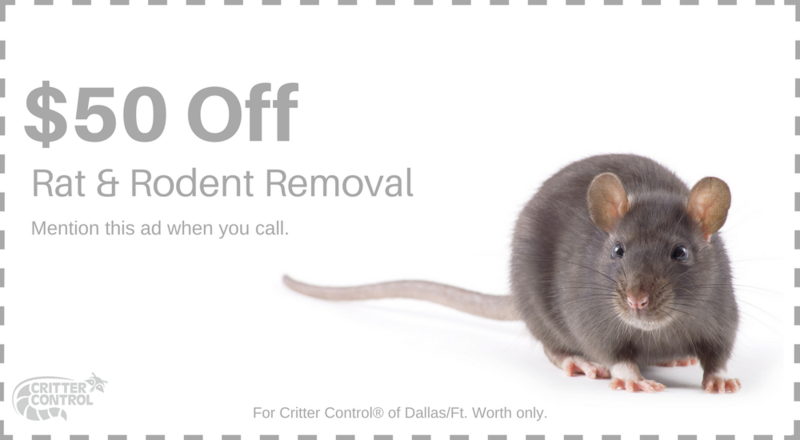 When dealing with squirrel infestations, we always recommend calling the experts here at Critter Control® of Fort Worth. Squirrels may be small and cute, but their bites and scratches are anything but. Follow the tips above and if you find yourself with a squirrel problem, call us at 469.805.6267.